Humidity / temperature probe with cable | Testo Kft. 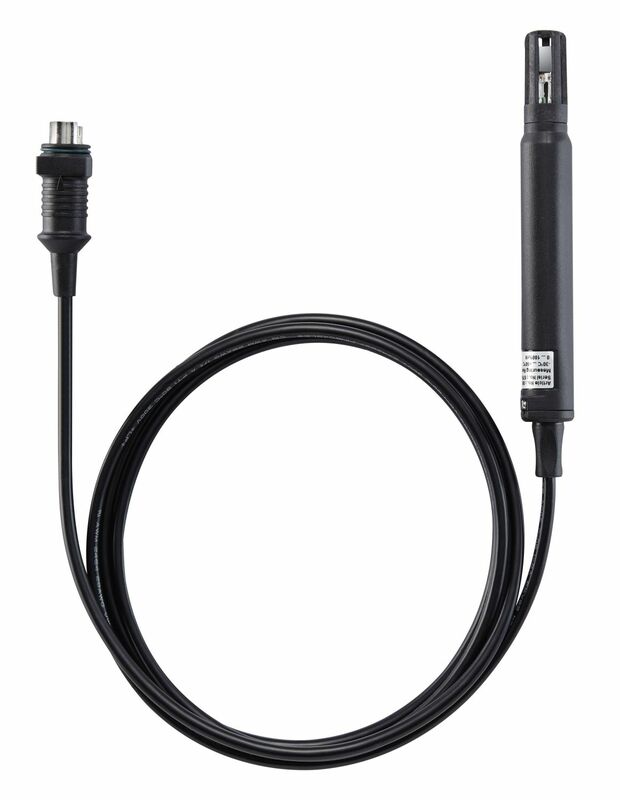 Measure relative humidity and temperature extremely precisely: with the digital humidity and temperature probe with a cable length of 1.3 m.
The humidity/temperature probe is connected to the instrument/data logger by simply plugging in. 1 x tumidity/temperature probe with cable, cable length 1.3 m 0572 2155.